I spent the weekend in a private mini-clinic with Elise to prepare myself to take over Nibbles’ training. Elise will still very much be in our lives – for one, she’s a dear, favorite friend. But more than that, she will be transitioning from trainer to coach – instead of putting the rides on Nibbles, she will coach us as a team while I ride. That’s been the plan all along and the time is finally here. I am working on a recap of what our rides consisted of (spoiler alert: much awesomeness) but I learned something that, to me, is so much more valuable: Sometimes, it takes a lot of wrongs ones to know when you’ve got the Right One. I have the Right One. The right horse and the right coach. I walked away this weekend being more energized about riding than I have been in a long time. I found myself counting down the hours to the next time I’d be able to ride. Not only to be able to school the next thing or get something quicker, but to be able to swing my leg over and beam like a little girl. But it was more than just being energized, I was joyful. I was bursting with pride at being able to ride my horse. My horse who is so much fun it’s not fair to everyone who hasn’t ridden her.I remembered why I do this, why I love it beyond explanation. And it was more than joy, it was hope. I have hope for my future with horses. I don’t know what it will look like in the long run and that’s okay. I’m here for the ride. Because I have the Right One. If you’ve been following this blog for a while, you’ve heard me gush about my dear friend and trainer extraordinaire of Miss Nibbles, Elise. 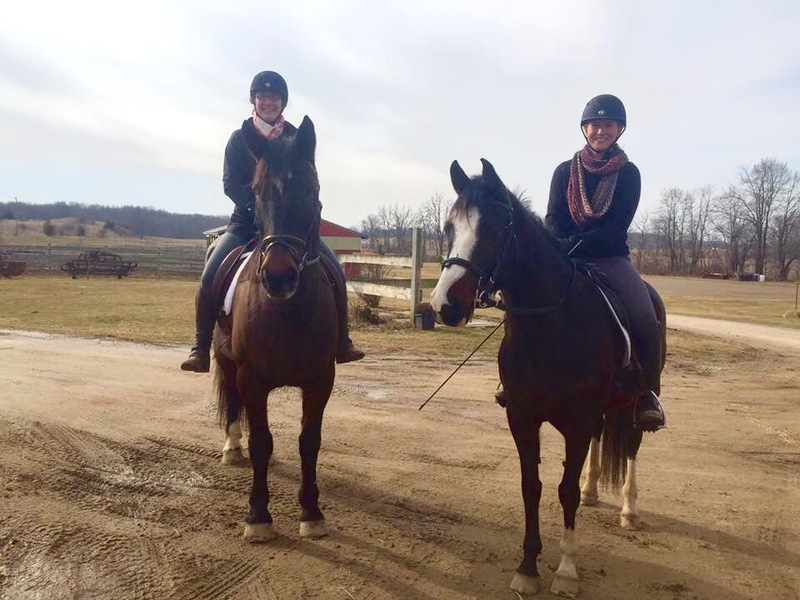 She has made her return to blogland and is already up to providing some awesome tips for riders (especially fitness – can I get a what what for shoulder struggles) as well as some awesome Spanish Riding School clinic recaps! I may be biased but she’s totally worth adding to your blogroll or Bloglovin. Check out the Pearl Classical Dressage blog! PS – She is dropping Joker off a day early – tomorrow afternoon! Let the picture spam and nose smooshing commence! !